Buckley never looked like scoring in this game against Guilsfield, yet it was they that took the lead in the second half when Adam Eden’s shot, after he had cut in from the left flank, was deflected into the Guilsfield goal. Chris Catherall of Guilsfield looked the most likely to deliver any reply with his Exocet like throw ins. He peppered the Buckley box throughout the game and his delivery put Buckley under pressure every time the ball went out from anywhere inside Buckley’s half. Guilsfield looked like they would draw level with a penalty late on but Joe Makaruk made the save to deny them. 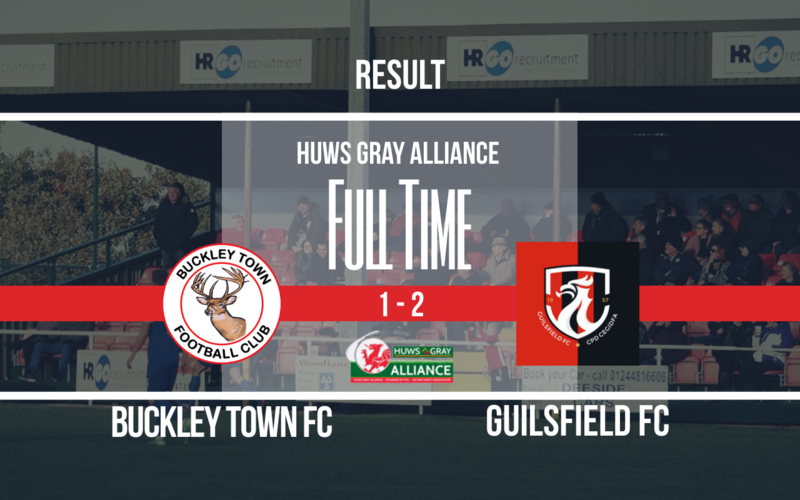 It looked like Buckley had done enough and were closing the game out but unbelievably two late goals in the 92nd and 94th minutes turned the game on its head. Overall a poor performance from Buckley Town on the night. This entry was posted in Huws Gray Alliance, Latest News, League and tagged Buckley Town FC, Guilsfield FC, Huws Gray Alliance. Bookmark the permalink.